Will The Powerful New Opioid; Dsuvia, Trigger More Overdose Deaths? His House > Blog > Drug > Is Dsuvia a Potential Cure for Opiate Addiction or More Fuel for the Fire? The development of Dsuvia is a controversial situation that has many people very concerned about the safety of the nation. The FDA recently approved this potent opioid as a painkiller and an aide for addiction treatment. The idea was that this strong opiate would minimize the risk of addiction and overdose that is sweeping the nation. And sadly, the overdose epidemic has taken the lives of too many promising people to count. For example, young rapper Mac Miller overdosed on opiates and abused alcohol, methamphetamine, and prescription medications like Xanax. And many who are addicted turn to illegal substances like heroin to overcome their need for prescription medications. Will the development and use of Dsuvia help in the overdose epidemic and replace dangerous substances like benzos or benzodiazepines? Or will it only complicate the process? Understanding this new painkiller, its potential benefits, and its downsides can help you stay informed on this issue and avoid addictive substances as much as possible. 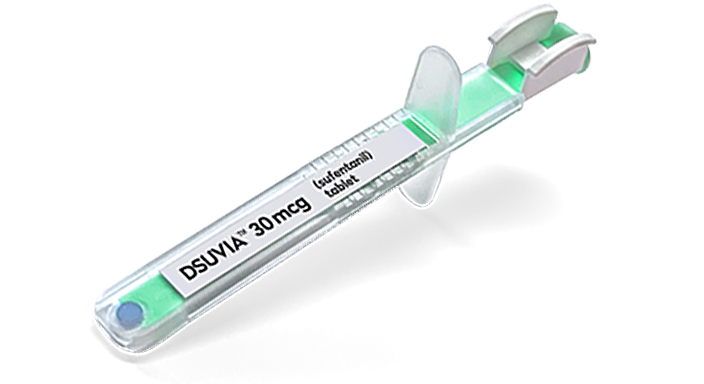 Dsuvia is a newly developed painkiller that is still heavily debated even after its approval. As designed, it is 1,000 times more potent than morphine and over 10 times more powerful than Fentanyl. Before the creation of Dsuvia, Fentanyl was by far the strongest opioid medication on the market. As a result, many people protested the development of this new substance and believed it wasn’t a necessary new development in pain treatment. However, the Food and Drug Administration or FDA approved the use of Dsuvia in particular circumstances and only in specialized healthcare situations. Currently, it will not be available at retail pharmacies and stored in single-use packaging. This design will make it more difficult for people to get a large amount of Dsuvia for abuse. And when prescribed for extreme pain situations, doctors can only give it to patients for 72 hours. After that period has passed, other pain medications must be used. Even more restrictively, doctors can only prescribe Dsuvia if other medicines have had little effect on a person’s pain level. In essence, there were as many barriers created as possible to make it difficult for people to abuse Dsuvia and to minimize its risk as an addictive substance. However, the potential overdose on this substance will be much higher than other types of opioids. For example, the opiate doses that ended the lives of Tom Petty and Prince would be well within overdose levels on Dsuvia. And overdose symptoms are the same as they are for other types of opioids, including severe tiredness, difficulties with breathing, the potential for a coma, and even death. That said, the FDA still approved this substance for use in very restrictive circumstances. One of their deciding factors was the benefits it could provide to soldiers in battle. Experts stated that such a potent opioid medication could be beneficial on the battlefield. For example, if a soldier were to lose a limb in an explosion, Dsuvia could keep them pain-free while they got treatment while using far less medication at the same time. And the application of Dsuvia would be limited to circumstances that met the needs of the Dsuvia REMS Program. As a result, the manufacturer and the FDA argues, access to Dsuvia would be minimal and controlled safely. And the manufacturer pointed to a study performed on this substance as proof that it is safe and effective. What did this study have to say? One element of the quick approval of Dsuvia that has concerned many is the lack of diverse studies. In fact, even the manufacturer of the substance – AcelRx – states that just one double-blind study was done on Dsuvia before it was approved. Dr. David Leiman, a Clinical Assistant Professor of Surgery at the University of Texas at Houston, was involved in this study. His statement about Dsuvia included his belief that “…current oral and IV opioid analgesics can be slow-acting and challenging to dose…” Therefore, the purpose of Dsuvia was to provide a fast-acting pain treatment that minimized the number of opioids a person needed to take to manage their pain. He believed that “Managing acute pain is critical to a patient’s recovery process…” and that Dsuvia provided the most potent and safe way to manage this pain while minimizing a person’s risk of addiction. During the study, 161 patients received either 30mcg of Dsuvia or a similar amount of placebo. The results from the survey were very telling. Within 15 minutes, pain intensity had fallen dramatically in those who used Dsuvia versus those who did not. And a much smaller percentage of patients (22 versus 65) had to take rescue or additional pain medication after treatment with Dsuvia. Those who did take Dsuvia reported side effects like headaches, nausea, vomiting, dizziness, and hypotension. Regarding safety, the most commonly reported adverse reactions were nausea, headache, vomiting, dizziness, and hypotension. In spite of these mild side effects, the study confirmed that Dsuvia was a safe and effective way to manage extreme pain that could not be controlled in other ways. Does one effective study indicate that a drug is truly safe? That is hard to say. There should definitely be more studies done on Dsuvia to ensure that it isn’t dangerous to the health of those who take it. In fact, the addictive qualities of the substance were barely mentioned in the study, which is a serious problem. The only mention was the fact that the single-dose administration method would limit the availability of this substance for patients. As a result, it is fair to be concerned about the possible side effects that this substance could cause in those who use it. While the FDA is quite sure that it will be safe enough to use as a painkiller and for managing addiction risk, many other people are not convinced that this is the case. Could Problems Arise From Using This Substance? While the lack of studies is a significant concern for people afraid of Dsuvia, the developer is well aware of the dangers of this drug. AcelRx states that it has stricter audits and control methods for its substances than other manufacturers. They argue that they will provide high-quality oversight on the prescription and use of this substance in a way that will minimize serious risk. That assurance did little to calm the worries of people like Dr. Raeford Brown. Dr. Brown is the chair of the FDA advisory committee on anesthetic drug products. Unfortunately, he was not present at the meeting during which Dsuvia was approved. During an interview with ABC News, he said that he was upset and disappointed by the decision to approve the substance. His primary concern was that adding another potent opiate to the healthcare marketplace was an unwise decision “…especially when we’re currently still writing 200 million prescriptions for opioids a year.” According to Dr. Brown, there are plenty of opiate painkillers on the market that perform the same kind of role as Dsuvia. The need for such a substance, he stated, was “… not demonstrated.” Even more damning, he believed that the ability to manage it after approval was not demonstrated by AcelRX. In fact, he was unimpressed by AcelRX and its many promises of excellent drug control. Judging by past cases, Brown stated that “…there’s very little, if any control, over (prescription opiates)…” after they are approved. In fact, Brown seemed to indicate that sponsors or manufacturers of these substances made a lot of empty promises fully aware of the fact that they planned to do little to control the substance and its spread. Markey was particularly concerned about the fact that Dsuvia was not only redundant when compared to other opiates but argued against heavily by medical experts and other addiction specialists. Other professionals believed that even the safe administration of Dsuvia could be more complicated than reported because it could remain in the body of patients for a more extended period than expected and could interfere with their overall recovery. Obviously, there are many concerns about Dsuvia and its effects on the opioid epidemic. However, its approval already has some speculating that it could be used as a replacement medication for heroin addiction. Could this new drug be used alongside treatment methods like dual-diagnosis? Would Dsuvia Help With Dual-Diagnosis? While the higher potency of Dsuvia could decrease the need for excessive painkiller use, it also opens up a higher risk of dependency and addiction. And even if Dsuvia does prevent addiction in some people, it is likely much too potent to be used as a treatment or recovery method or addiction. Even worse, it will probably do very little to manage mental health problems like trauma, PTSD, anxiety, and depression. In fact, many drug treatment experts believe that Dsuvia would only cause adverse effects on the administration of dual-diagnosis. For example, it could cause overdose symptoms that only increase a person’s anxiety and depression and which make a recovery even harder. And such a potent medication will do little to help with detox, which is one of the critical elements of dual-diagnosis and the 12 step recovery method. Simply put, Dsuvia is not a good choice for managing addiction with dual-diagnosis. For those who don’t know about this mental health treatment method, dual-diagnosis is a complex and multifaceted treatment approach that attacks addiction at its source and which works to break the cycle of behavioral addiction that can be so hard for people to escape. For example, dual-diagnosis treatment will include psychological assessments that gauge what mental health problems contribute to an addiction. It will then progress to fully understand the triggers that cause a person to continue using substances even when they know they are dangerous. At this point, dual-diagnosis will then start managing the physical and mental aspects of addiction in a focused and effective manner. The effectiveness of dual-diagnosis has been confirmed by many studies and is now considered the primary way of managing addiction cases. Thankfully, it is a diverse enough treatment method to handle multiple types of drug dependency. In fact, people who suffer from addiction to prescription medications often make huge leaps towards recovery success with this care method. Should You Use Dsuvia for Your Addiction Treatment? If you are addicted to opioids and think that Dsuvia may help with your recovery, it is probably best to consider dual-diagnosis without it. While it may have some benefits for pain management and may help prevent some cases of addiction, treatment with it is something that most people should either avoid or only do under particular recovery circumstances. And if you need help overcoming substance abuse or just want to learn more about Dsuvia, please don’t hesitate to contact us today. Our specialists will work hard to identify the issues that contribute to your addiction and will fight hard to break the bonds of drugs in your life. With their help, you can detox, recover from depression, anxiety, and trauma, and emerge drug-free. Our treatment facility accepts many types of payment methods and will even work with you on a payment plan if you need a little financial assistance. Our goal is to help as many people overcome addiction and to prevent as many overdoses as possible. With a free phone consultation with our rehab specialists, you can regain a clean and drug-free life.